Comment: “For as the heavens are higher than the earth, so are my ways higher than your ways”, says the Lord to Isaiah. But even as God is higher than the earth, God’s ways above human ways, God’s thoughts not our thoughts, God does not ignore the world. God cares for the people, and provides water for the thirsty, food for the hungry, and good things for everyone. In The Little Gardener, a tiny man works to care for his garden, but he is too little to do all the work, and only one flower blossoms. He wishes for help, and as he sleeps, a giant girl comes along, admires his flower and helps tend his garden, which begins to flourish. 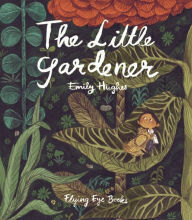 The little gardener needed help from someone bigger than he, and because of someone who was bigger and could do the work he couldn’t, he had a wonderful garden in which to live. We, too, need help from someone bigger than we, and God, whose ways are higher than our ways, provides us with help, good things, and an everlasting covenant. Comment: “Don’t” is the theme of the mid-section of this passage. Paul tells the Corinthians, “don’t”, to many things: don’t put Jesus to the test, don’t complain, and so on. Paul warns the Corinthians based on mistakes their spiritual ancestors made in earlier times, so they can learn and choose different behaviors. 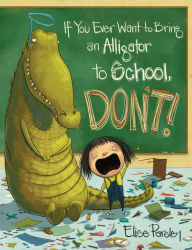 In If You Ever Want to Bring an Alligator to School, Don’t!, Magnolia offers the same kind of warning. Her teacher asks everyone to bring something from nature for ‘show and tell’, and she brings her pet alligator. But the alligator wreaks havoc and gets Magnolia in trouble. “Don’t”, she says, as a warning. Magnolia’s mishap with her alligator provides an example for those hearing her tale, and Paul says the Corinthians’ ancestors served “as examples for us”, in the same way. And all these years later, we can learn from the examples Paul uses, and from the Corinthians, and from other people’s warnings, too. 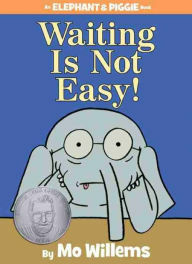 Comment: In Waiting is Not Easy!, Piggie asks Gerald to wait for a wonderful surprise. But the wait is longer than he expects and he grows impatient and annoyed at having to wait, because, as he says, waiting is not easy. In the parable Jesus tells, the owner of the vineyard has already waited three years after planting his fig tree for it to grow and bear fruit, but it still has not produced fruit. He is tired of waiting and wants to cut it down. But the gardener urges him to reconsider and to wait another year to see what happens. The owner must have been irritated and annoyed, too, because waiting is not easy, even when knowing the result might be delicious fruit. Jesus, too, is waiting for repentance, a total change, from those listening to his teachings, and warning against a failure to repent. And just as the end of Gerald’s wait was a beautiful view of the stars and the fig tree hopefully will bear good fruit, if we repent, making the change Jesus waits for, we will end with the abundant life found in him. Thanks to Sara Anne Berger who wrote the Lectionary Links this week while moving from Whitmire, SC to Nachitoches, LA to become the pastor of the First Presbyterian Church there. We think that is pretty awesome dedication! Lectionary Links: Sunday, February 28, 2016 by Storypath is licensed under a Creative Commons Attribution-NonCommercial 4.0 International License.